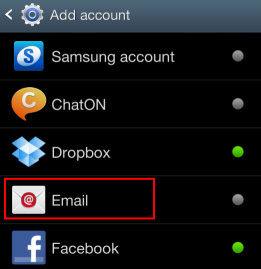 Setting Up A Samsung Phone or Tablet With an Exchange Mailbox. 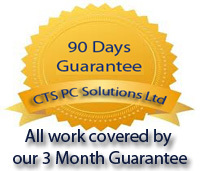 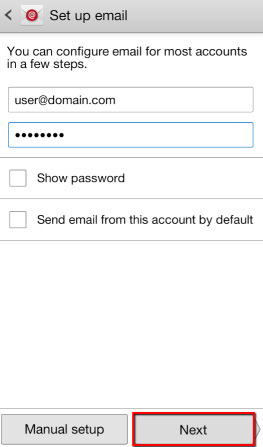 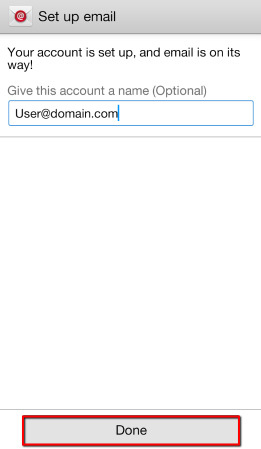 4.Enter your Email Address and Password, then select Next. 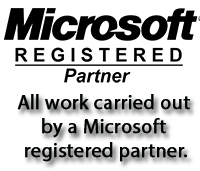 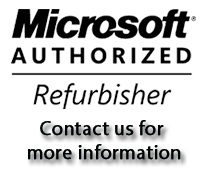 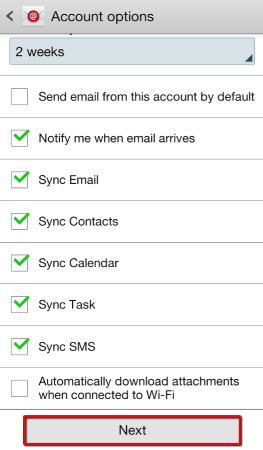 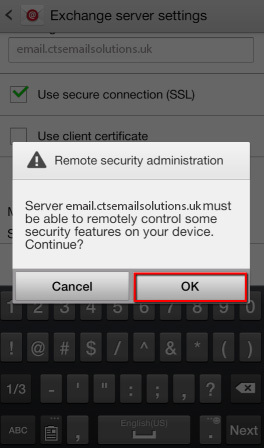 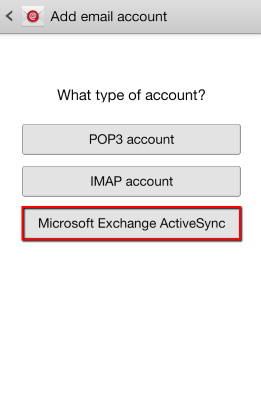 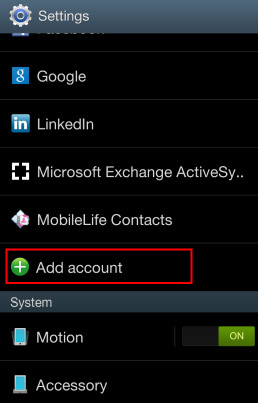 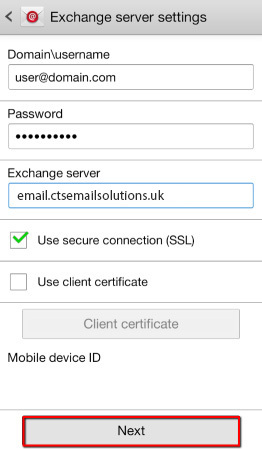 5.Select Microsoft Exchange Activesync for Account Type.